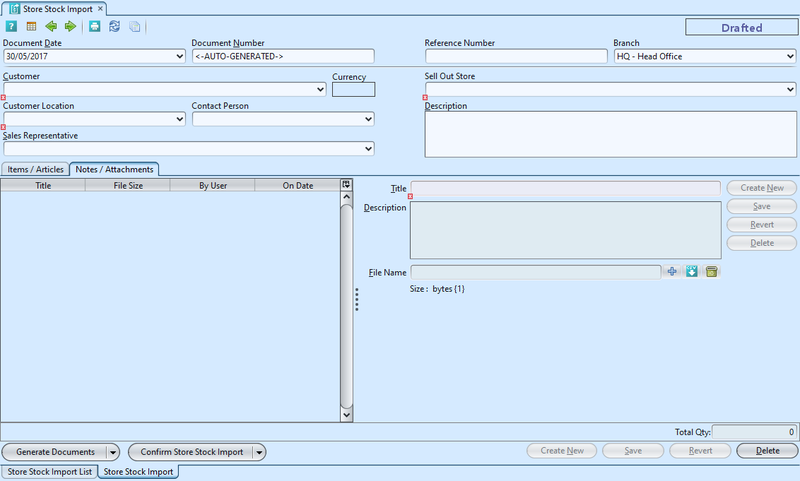 Import (virtual) stock into sell out customer’s store in order to help company visualize and track products’ stock movement of sell out store. These stock will only be available in Store Register view for the offtake store sales. These stock does not affect the company’s balance sheet and inventory. 2. 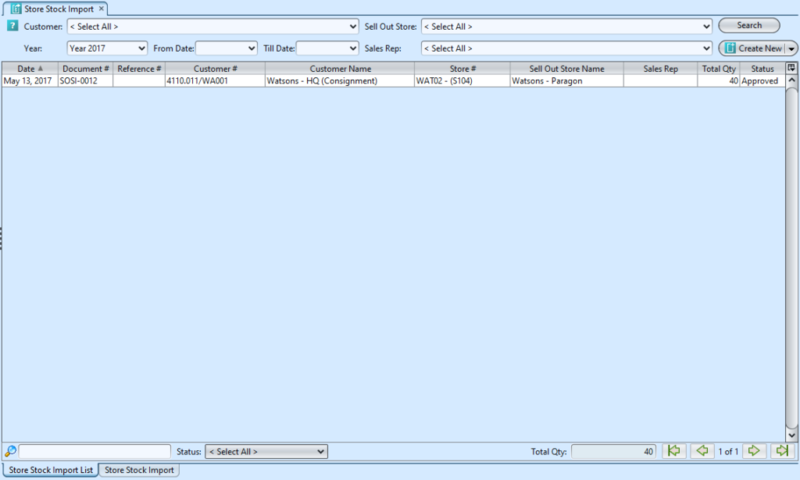 Select a customer from the “Customer” drop-down list on top left side of screen. It will fill up the form with the customer’s info. 3. 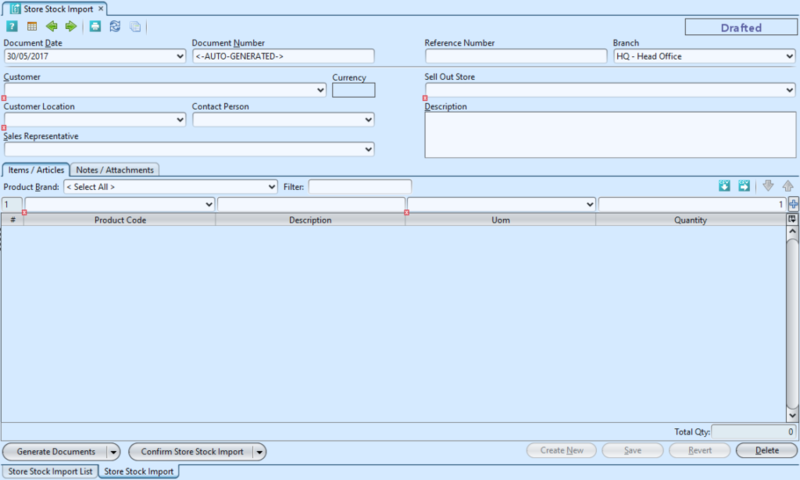 Fill up header information on the top half of screen. “Sell Out Store” are stores created in “Sales – (Masters) Sell Out Store” and linked to the customer of which offtake store sales were managed. 2. Double click on stock import to be updated, it will bring up the details on “Store Stock Import” tab for the selected stock import. If a stock import’s status is “Confirmed” or “Approved”, reopen / undo approval of the stock import first.